“Welcome to the world of The Chocolatier. Voted as one of the 1000 most influential Londoners, founder Aneesh Popat is an award-winning chocolatier and an ambassador of fine chocolate. His clientele includes royalty, Michelin starred restaurants, luxury hotels, department stores and leading global brands. The Chocolatier maintains wellbeing as a core value creating handmade indulgent chocolates with a selection of the finest single origin cacao in the world, using natural ingredients without any cream or butter. His scientific background and passion for fine chocolate has led him to become renowned for his unique and experimental flavour combinations. 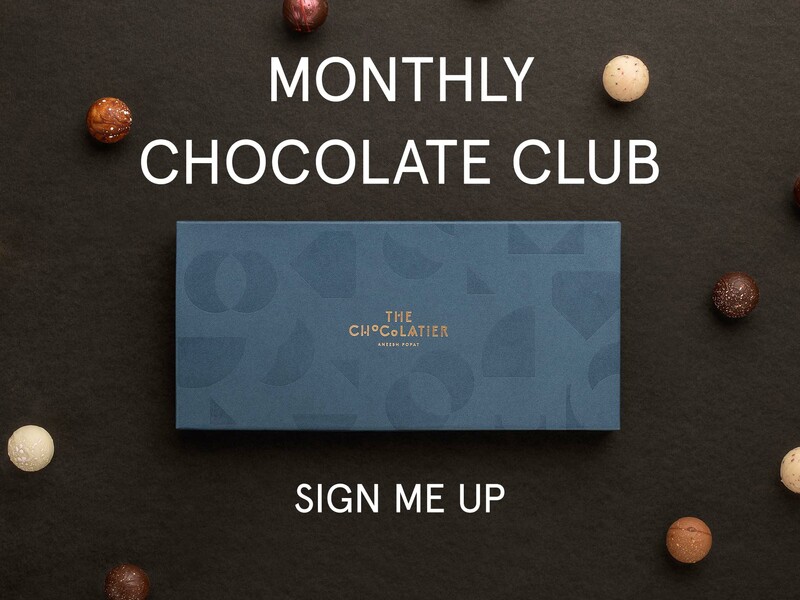 The Chocolatier mission is to ‘change the world one chocolate at a time’. Every chocolate expertly made and savoured, makes a positive difference by contributing to the education and materials for children in India. The Chocolatier also focuses on carefully sourcing ethical cacao from plantations to support the conservation of nature and wildlife.